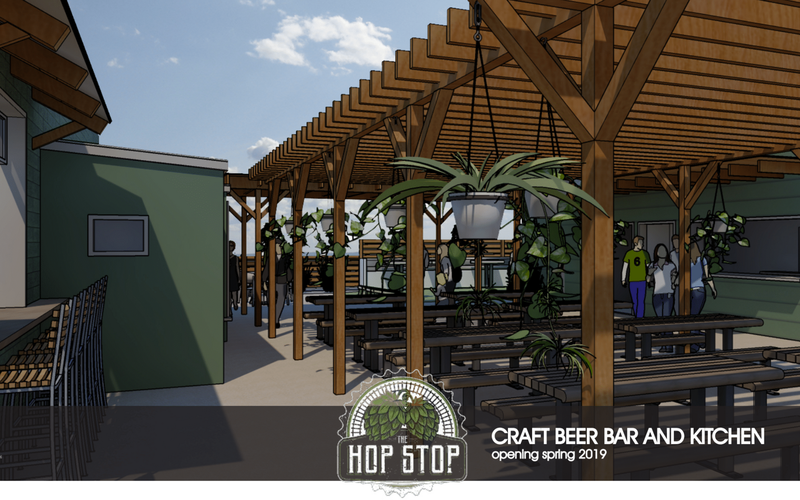 A husband-and-wife duo with plenty of craft beer experience is gearing up to launch a modern beer garden and eatery in San Diego's North County. 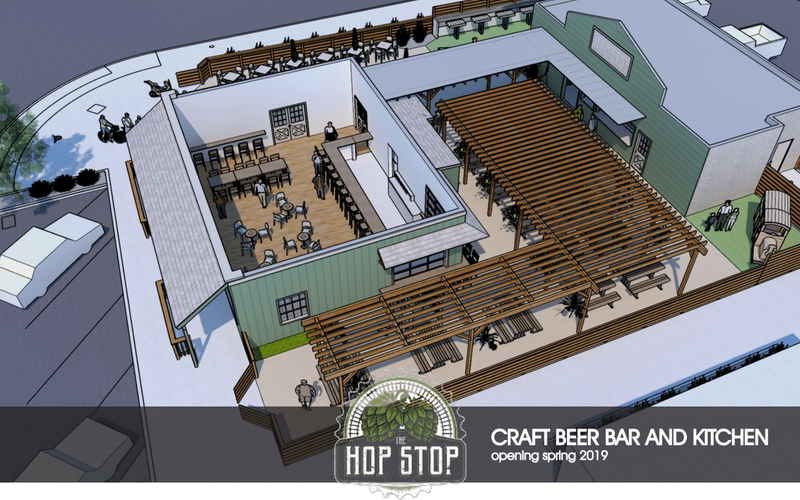 The Hop Stop Craft Beer Bar & Kitchen is anticipated to unveil this spring in San Diego's Poway community. From Mark & Rebecca Saldivar, The Hop Stop will be a craft beer bar and restaurant with an abundant outdoor area. The couple has ample experience in San Diego's beer industry, with Mark serving a long tenure with San Diego Brewing Company and Rebecca working stints at Abnormal Beer Co., Second Chance Beer Co., and Urge Gastropub. 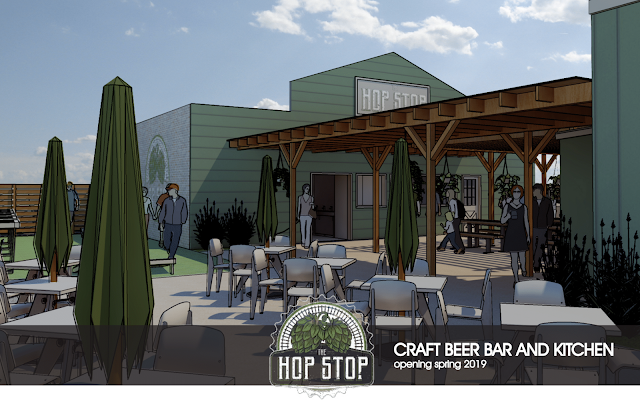 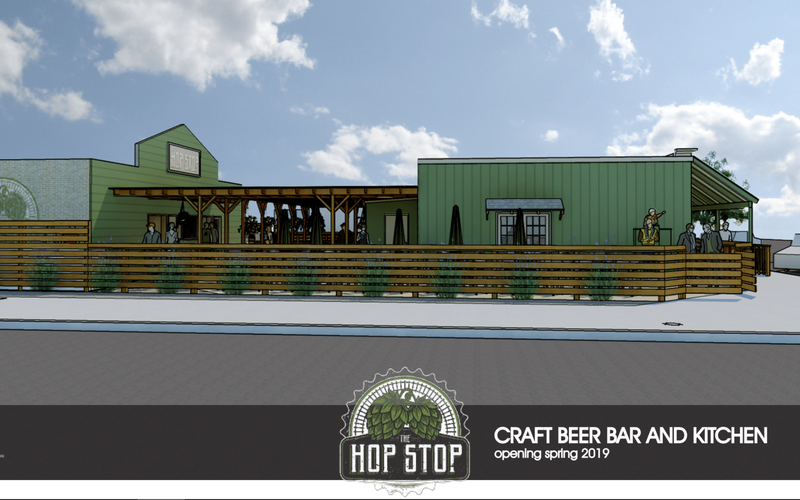 The Hop Stop will have a design by San Diego-based Hauck Architecture (Duck Food Brewing, Fall Brewing, North Park Beer) that combines country-chic and modern-industrial, boasting a kid-friendly beer garden, wrap around patio and a full interior dining room and bar. 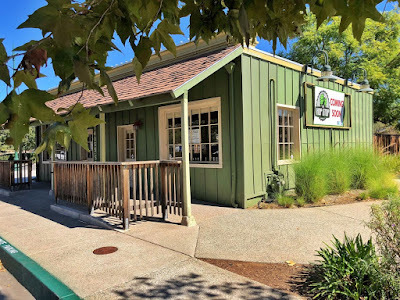 Expect a menu of California-American comforts ranging from appetizers and salads to pizza and sandwiches, all available from a fast-casual, walk-up window. 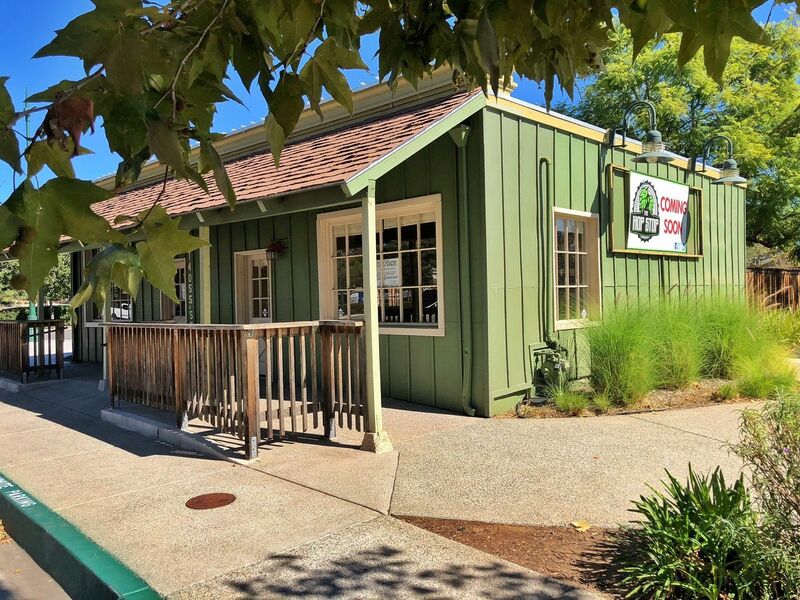 Based on the success of the flagship location, the Saldivar's may replicate the concept in other areas of San Diego. 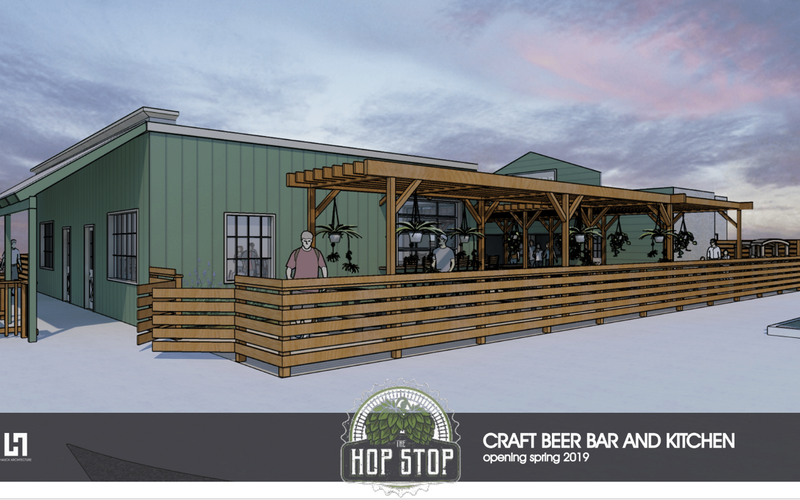 The Hop Stop will sit at 14055 Midland Road in Poway, CA. 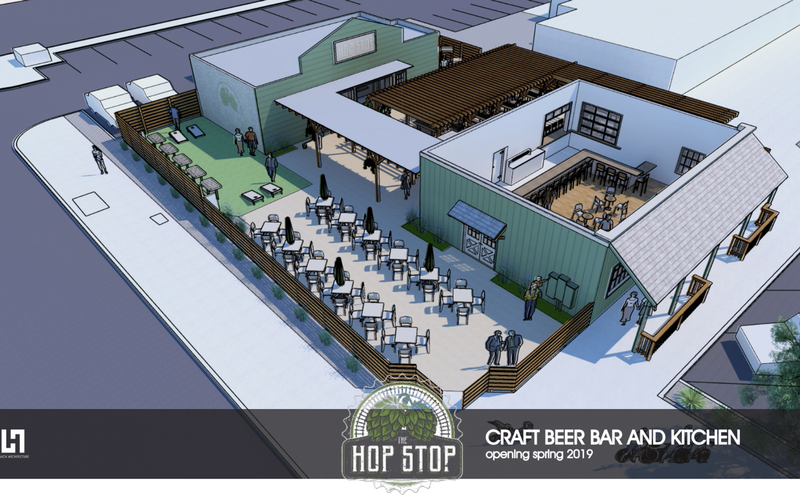 For more information, visit thehopstopsd.com and check out the artistic renderings below.